DRAGLES- Dinosaur eggs are found. They are from an unknown type of dinosaur. The kids that find them must raise these magical creatures. 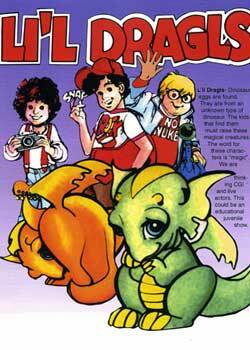 The word for these characters is “magic”, and the “dinosaurs” are baby dragons, lost in time (and perhaps, space).